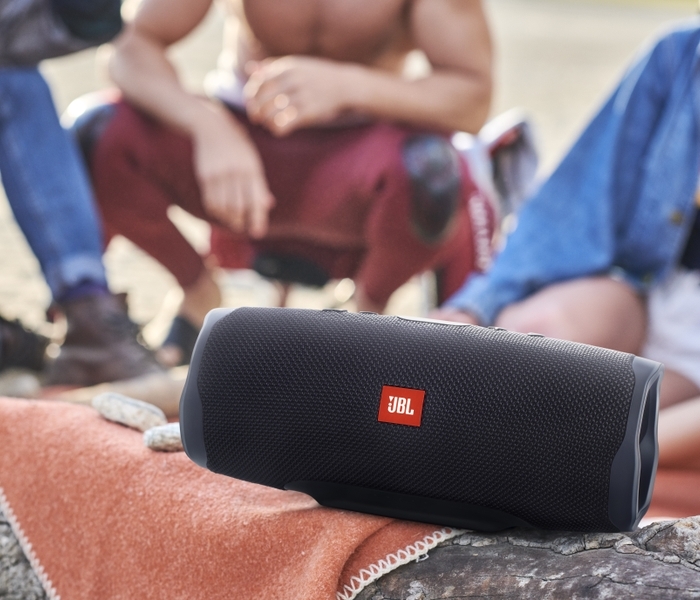 IFA 2018, BERLIN – AUGUST 30, 2018 – JBL welcomes the latest addition to its market leading waterproof Bluetooth speaker family, the JBL Charge 4. Bass that makes the heart pound? Check. 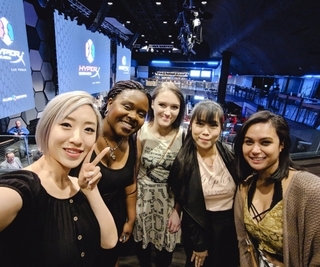 Vibrant colors coupled with JBL’s epic signature sound? Check. Get ready for a speaker that delivers an invigorating music experience. 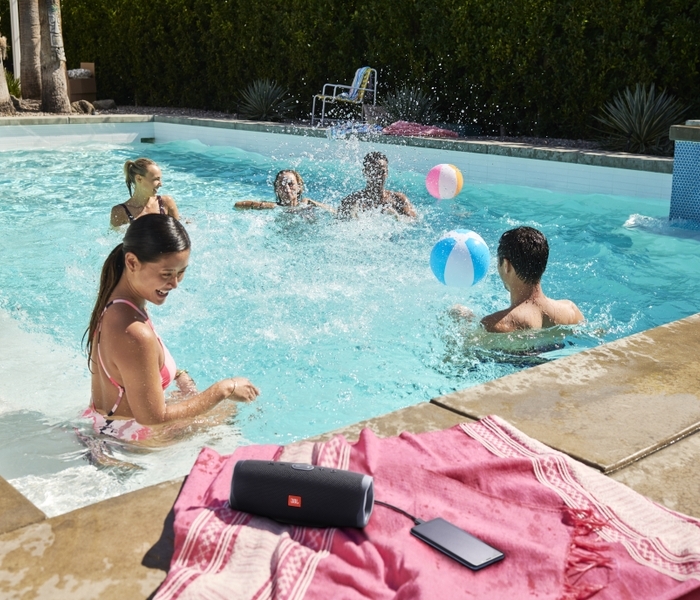 The JBL Charge 4 is a musical force to be reckoned with, boasting 20 hours of playtime and the ability to charge any smart device through the speaker’s charging port. No more worrying about cutting that playlist short, the music will be going strong as long as the party. Always looking to raise the bar, JBL engineers developed an all new JBL transducer for Charge 4 that features increased cone area and excursion, further upping the game and reinforcing why JBL is the number one market share holder in the Bluetooth speaker category globally. Industrial fabrics and an IPX7 waterproof rating mean durability is never in question. Take the Charge 4 wherever the party goes, whether its rocky mountain tops or sandy shorelines. Never worry about a freak rainstorm or a dunk in the water. 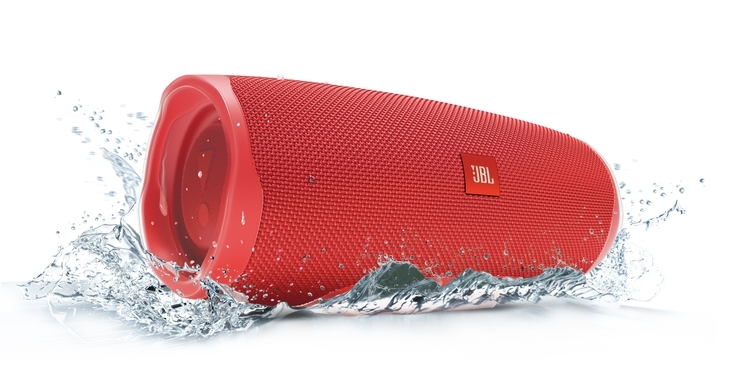 This speaker can be submerged in water and still play everyone’s favorite tunes. The speaker’s expressive design elements mimic the Charge’s iconic shape, while adding modern structural elements like 3D metallic passive radiators. The Charge 4 also introduces new colors to the family, with shades including Dusty Pink, Forest Green, Steel White, among others. JBL Charge 4 (USD: $149.95; EUR: €179) will be available on JBL.com starting Fall 2018 in 10 color options: Desert Sand, Mustard Yellow, Dusty Pink, Grey Stone, River Teal, Fiesta Red, Ocean Blue, Midnight Black, Steel White, and Forest Green.